(CNN) - After a remarkable comeback that featured two major finals and one epic controversy, can Serena Williams seal her place in the tennis history books once and for all in Australia? Since winning her seventh Australian Open title two years ago while eight weeks pregnant, the Open era Grand Slam record holder has remained one shy of Margaret Court's all-time Grand Slam record of 24 major singles titles. Some of her closest rivals think she still has what it takes, but with the strength and depth of women's tennis vastly improved in recent years, it won't be easy. 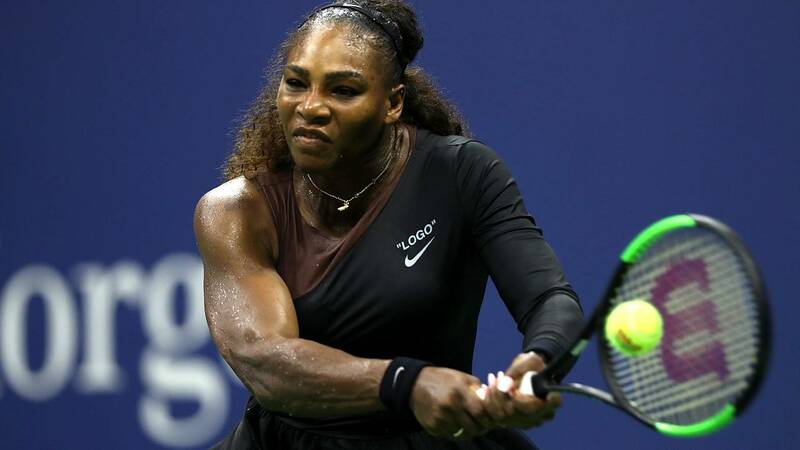 "She's still Serena Williams, and she still has won 23 slams," former French Open quarterfinalist Carolina Garcia told CNN Sport. "A lot of girls on Tour will be happy to make two finals in a year," said the 19th-ranked Frenchwoman, who has lost all three matches she played against Williams. The Australian Open, the season's first tennis major, starts on January 14 in Melbourne. Roger Federer of Switzerland and Denmark's Caroline Wozniacki are the defending champions. "She will probably be disappointed, but I think she can still do it," Garcia said about Williams, the 4-1 favorite for the women's title with UK bookmaker William Hill. "But she has to work hard, like everyone, because everyone is hungry for slams. But I don't think she has lost anything." Williams, 37, returned to the women's WTA Tour last March after a 14-month maternity leave, during which she underwent surgery because of complications following the birth of her daughter, Olympia. Although Williams was the only player, with the top-ranked Simona Halep, to reach two Grand Slam finals in 2018, she lost them both. After reaching her tenth Wimbledon final, dropping just one set, Williams was stunned by Germany's Angelique Kerber 6-3 6-3. Two months later, at the US Open, Williams looked very much like her old self again until the final, where she lost 6-2 6-4 to Naomi Osaka, a Japanese player 16 years her junior, armed with a big serve that matches Williams' own. After that defeat, which will forever be remembered for Williams' row with the chair umpire and accusations of sexism afterwards, the former world No. 1 ended her season early. She began 2019 at the Hopman Cup mixed team exhibition event in Perth, winning all three of her singles matches. With the weight of history on her shoulders, did it all become too much? "I can see it a little from my perspective, that she came back, and she wanted to win a Grand Slam, and she was pretty close twice," two-time Wimbledon champion Petra Kvitova told CNN Sport. "Maybe she put a lot of pressure on herself as well, as we saw at the US Open, with all the emotions," said the 8th-ranked Czech, who staged a successful comeback herself in 2017 after sustaining a potentially career-ending injury on her hand in a knife attack. "I think it's everything in the mind," said Kvitova, who was out for six months following the attack in her house by an intruder. "It's tough to come back and play like before, like you didn't have time off." Playing Serena Williams in a major tennis final was once considered an almost impossible task. From the 2001 US Open to the 2015 Wimbledon championships, Williams lost only four Grand Slam title matches. But since Italian Roberta Vinci ended her historic quest for the calendar Grand Slam at the 2015 US Open semifinals, the American has gone 2-4 in Grand Slam finals. For Kerber, who has now defeated Williams in two of three major finals, the key to beating the most successful player of the Open era on the sport's biggest stages is to focus on yourself. "I have now played her in three Grand Slam finals, and it is always of course tough to play against her because she has such a lot of experience in the finals," the German, who also beat Williams at the 2016 Australian Open finals before losing to her at Wimbledon that same year, told CNN Sport. "For me, what I have learned in the last years, is just to look on my side of the court, trying to play my tennis, play like I practice, and take all the experience that I had from my tournaments, my matches on to the big stage," she said. Although Williams has a 5-3 lead over Kvitova, the 28-year-old Czech has beaten the American the last three times they played, including a three-set clash in the second round of Cincinnati in August. "To be honest, I don't fear her," said Kvitova. "I played her in Cincinnati, she played great tennis, it was an amazing match. But, on the other hand, of course, it's still Serena. She's a great champion and when you face her, you always need to be prepared for a really tough one. I think if she is still there, she is going to win more Grand Slams."